Last year was exploding news for firecracker fans inside the city limits of Guthrie. However, a burn ban hampered the excitement, but now residents are once again fired up for the upcoming Fourth of July celebration. After years of not having fireworks legally popping in city limits, citizens are darting off to firework stands spread out through the community after the Guthrie City Council approved the new ordinance last June. “My kids are excited about the chance to set off some fireworks this year,” local resident Jason Reece said. The permits can be purchased at Guthrie City Hall for $15. When purchased, the resident will get a permit sign to place in their yard which will allow them to discharge fireworks at their home on July 3, 4, and 5 from 10:00 am to 11:00 pm. Not only can fireworks be discharged in city limits, but so can the sale of fireworks. 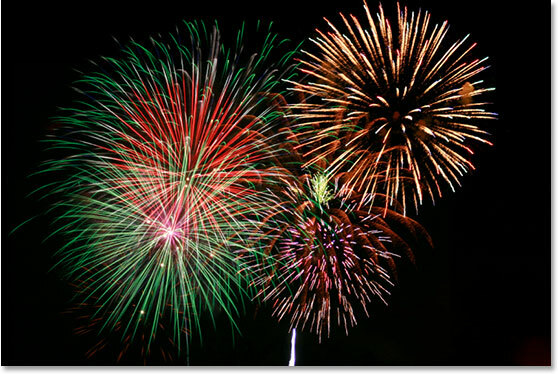 • An adult person over the age of 18 may obtain a permit from the City of Guthrie to discharge Class C fireworks only from 10:00 a.m. to 11:00 p.m. on July 3, 4, and 5 or from 11:30 p.m. to 12:30 a.m. on New Year’s Eve. • The adult permit holder must be physically present and within 100 feet of the point of display for any household member to use the fireworks. • The permit must be prominently displayed at the location listed on the permit during the discharge of the fireworks and available for examination by any public safety officer. • Fireworks must be discharged on a non-combustible surface of sufficient size to contain the entire ground portion of the display and not closer than 25 feet from any permanent structure. • No more than 25 people can be at the location listed on the permit at the time the fireworks are discharged unless approved by the City of Guthrie. • Permit holder will have extinguishment device (water or fire extinguisher) available at the site of fireworks discharge. • Permit holder is responsible for cleaning up any debris caused by any person discharging fireworks at the location listed on the permit. • Permit holder is responsible for damage or injury to other persons or property resulting from fireworks use. • In the event that the Governor of the State of Oklahoma calls a Red Flag Fire Alert or Burn Ban for the area, or the City of Guthrie Fire Department determines that the City of Guthrie is in danger of fire due to weather conditions, the City of Guthrie may declare the use of fireworks to be illegal and all fireworks permits to be void, without refund. • Any violations of these regulations may result in fines and/or confiscation of fireworks.